If one of the perks of the clothing items you design and manufacture is your use of natural materials, it makes no sense to attach synthetic sewing labels or iron-on clothing labels. 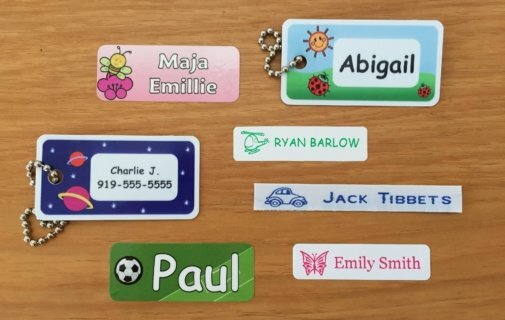 Here are a few examples of natural materials that you can look for when ordering your custom name labels. The main word to search for, if you want all natural, is cotton. Cotton is a commonly used material for both clothing and clothing labels, as it is relatively inexpensive and incredibly durable. These labels tend to be softer and more pliable than other synthetic materials, but one downside is that the edges may begin to fray after a number of washes. If you want them to be even more durable, you may want to go with a cotton blend label. These can include cotton and polyester blends, which are common in the label industry. Other examples of entirely natural labels are 100% cotton twill, which may also be called herringbone, or 100% heavy canvas. The canvas will look slightly more rugged and will feel a bit tougher, but it gives a distinct charm and look to any garment you attach it to. 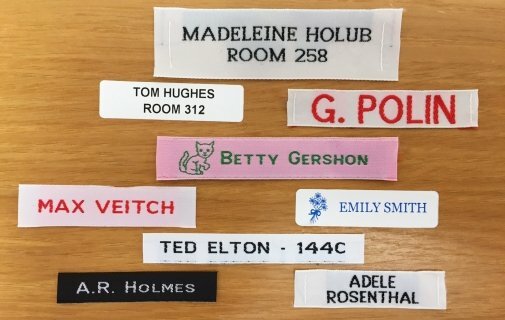 All of these labels are most often available with a full color-printing spectrum, as there are no limitations due to the material. You may want to take it a step further and find a company that also uses all natural printing inks. If you are known for all natural materials, your customers are sure to appreciate the extra effort you put into finding the perfect all natural clothing labels.